Maya Soetoro-Ng is the director of community outreach and global learning for the Matsunaga Institute for Peace and Conflict Resolution at the University of Hawaii at Manoa. For many years, she taught high school classes in social studies and English and undergraduate and graduate courses in multicultural education, social studies methods, and peace education. She is also the half-sister of President Barack Obama. 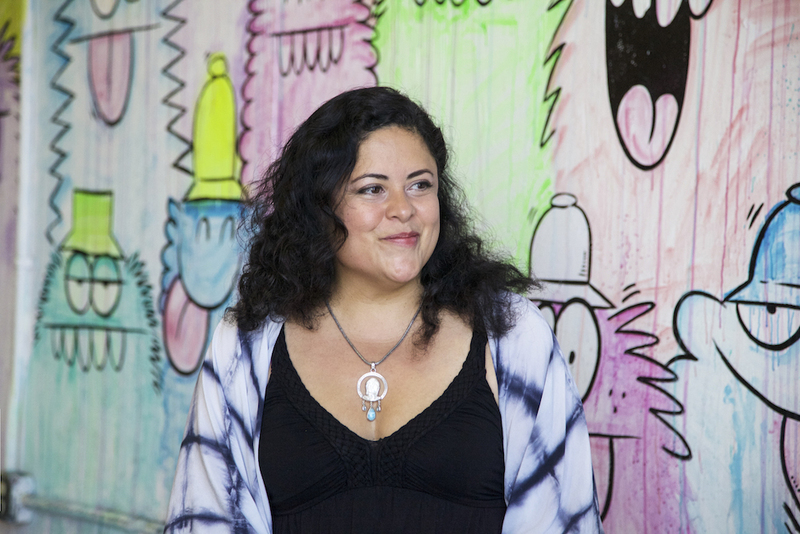 Before participating in a discussion on what Hawaii can teach America about race, she talked about sharing the Nuyorican poets with her students, her pet peeve, and the hardest part of peace to practice. What dessert do you find impossible to resist? Did you have any nicknames as a kid? Kopi susu. It means “coffee with milk” in Indonesian. What teacher or professor changed your life, if any? Numerous teachers of what I would say is the literature of exile and alienation. Great storytellers who told stories from the margins. In peace education, what theory is the hardest to practice? Rigorous pacifism, where you don’t commit any acts of violence, in word, thought or deed. Ahimsa. Who’s one person, living or dead, you’d most like to have a beer with? I’m gonna go with Gabriel García Márquez. Just the lushness of his prose and the magical realism could be fun. It would be over beer or tea. Which of your friends, family members, or colleagues tells the best jokes? I think my husband is pretty hilarious. He has a little bit of a naughty sense of humor and contributes to our daughter’s sassiness. He thinks humor doesn’t need to be nice. He outsources the nice to me. What’s the first line of your obituary? When you were a high-school English teacher, what was your favorite novel to teach? I only taught English for one year. I taught social studies for 15. But I’m going to say that I loved working with anthologies of youth poetry from the Nuyorican Poets Café because it inspired the students to tell their stories and name their place and it always led to meaningful discussions on identity. Too many things to enumerate. It means making room for complexity and finding skills to challenge received assumptions and to engage in constant reflection in the interest of growth. I think it requires that we be willing to be uncomfortable as we explore difference and diversity in unexpected ways. That we challenge ourselves to renew our vision of community and culture on a regular basis. It means we’re constantly reinventing. A perpetual new world.